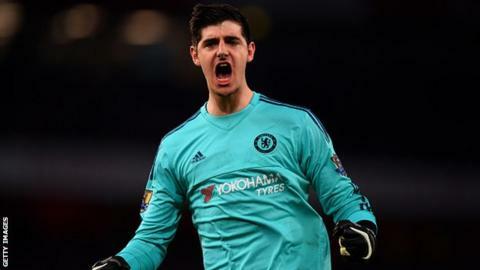 "We play against two great sides and we have to try to win those games," said the Blues number one. "The only way to save our season is to reach the final in one or both of them." Following their 1-1 Premier League draw with Manchester United, Chelsea still sit low down the Premier League table in 13th position, 17 points from a Champions League spot. Chelsea have gone nine matches without defeat under interim manager Guus Hiddink and they have not given up on reaching a top-four spot. The Blues next league game is against relegation-threatened Newcastle on Saturday.